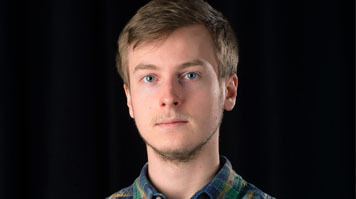 As a keen young photographer who knew he wanted to turn professional, Arturas Bondarciukas felt finding a degree that offered a combination of technical skills and business know-how was essential – and he found just that with the BA (Hons) Digital Photography course (now Photography) at LSBU. Throughout his studies, Arturas kept a keen eye out for opportunities to gain practical, professional experience that would prepare him for the career he wanted upon graduation – and his big opportunity to enhance his CV did not take long to appear. Since then, Arturas has had the chance to go to Italy with the South Bank Collective as part of a commission from Italian crane giant Fassi, to shoot the company’s 2017 calendar. “It was an amazing experience, working internationally and dealing with large-scale projects,” he says. Arturas has also been able to extend his professional expertise by making use of Elephant Studios at LSBU, our professional-standard studio suite available to creative media students at LSBU. “It’s a great opportunity to practice with professional-grade equipment and realise our creative vision,” he says.